I was having lunch with a group of friends the other day when one said that she had to get back to the office for her quarterly Hoshin Kanri review. Another of our friends laughed and said, “You don’t have to make up words to have an excuse to leave.” What followed was a hilarious 10 minutes of trying to convince Julie that Hoshin Kanri is a real thing. She eventually capitulated, but I’m not sure she really bought it. I suspect there are a lot of “Julies” out there, so if you are unfamiliar with Hoshin Kanri, don’t feel alone. Here’s the short version of what it’s all about. Hoshin Kanri is a strategic planning process in which companies set the direction of the organization and identify the most important priorities. 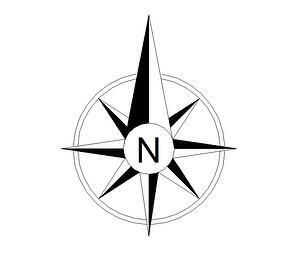 This is referred to as defining the organization’s “True North.” Only after the long-term objectives are understood and agreed upon, can detailed operational planning begin. An important goal of the Hoshin process is ensuring that everyone is working toward the same ends. Individual, team, department, and division goals flow down from the overarching goals of the company. Improvement work is assigned and prioritized according to the strategic plan. Smart companies recognize that if everything is a priority, nothing is a priority. The Hoshin Kanri process is every bit as much about deciding what not to do as what to do. The focus is placed on just a few breakthrough goals that, if achieved, will have a significant positive impact on the business. Alignment and prioritization are impossible if everyone is not clear about what constitutes True North. That’s why the practice of Hoshin involves documentation, communication, and regular review. Although the plan may be hatched at the top, it is shared with everyone so that even front line employees can contribute to success. Once the strategic plan is adopted and communicated, everyone is held accountable for their contributions to achieving both short and long-term goals. People are recognized and rewarded for doing their part to move the organization along the path to success. Organizations that practice Hoshin Kanri effectively enjoy better decision-making at every level. They are able to deal with day-to-day tactical issues without losing sight of the bigger picture. And, most importantly, everyone is pulling in the same direction.